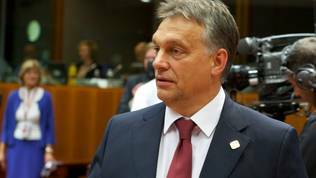 Viktor Orban: It's Time for Regime Change! Still not having completely experienced the taste of democracy, market economy and European values the Hungarians are again going through a regime change less than 30 years after the previous one. This was made crystal clear by another daring speech by Hungary's Prime Minister Viktor Orban on 26 July before ethnic Hungarians in Romania. According to Orban, change is necessary because of the 2008 financial crisis and the failure of liberal democracy and capitalism. He outlined three tipping points that contributed for regime changes in the world - World War I, World War II and the fall of the Berlin wall. The significance of the 2008 global financial crisis, he believes, is not so evident as a tipping point because, unlike the previous three, people perceive it differently. But it is a fact. In spite of the bad translation into English, the many vaguenesses and the obvious ad hoc talk, Viktor Orban's speech must be taken very seriously because it is a red lamp that is blinking in the heart of the European Union in a very difficult context. The Union is squeezed between several colossal issues. The first is the lessons and conclusions from the recent measures to exit the economic crisis for which there is a growing consensus that it is only paused and is not at all over. The second colossal problem is the fall of Putin's mask as a leader who can be trusted and whom can be worked with. The annexation of the Ukrainian peninsula Crimea, the creation of a hot conflict in Eastern Ukraine and the complete refusal to cooperate with the international community to solve the growing conflict in the Middle East are very tough challenges for the very survival of the EU as a community and for its security. Third is another phase of the internal construction of the Union. All this without the Union to have completely analysed its enlargement in the past 10 years which Hungary is part of. The calls of influential politicians like Germany's Finance Minister Wolfgang Schaeuble that the EU needs time to "digest" enlargement, are not clear to what extent do they mean a comprehensive analysis of this process. After the fall of the Berlin wall, many western European and American politicians and analysts believed that the enlargement of the EU that ensued to the east, accompanied by deepening of the community's integration, is a legitimate restoration of a historic justice. Alas, what they missed to realise for very objective reasons is how deep wounds totalitarianism had inflicted on societal conscience and political mentality. That is why, it is not a surprise at all that in this part of Europe there is a stable trend of returning single-man rule and nostalgia for totalitarianism. Hungary is the brightest example, but it is definitely not an exception. There were pretty clear signals in Romania and Bulgaria as well. 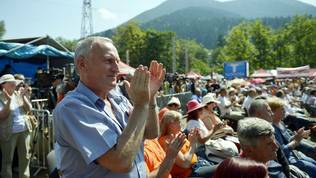 A return to totalitarian rule can be observed also in a key country for the future enlargement of the EU to the Western Balkans - Serbia. Brussels reacted sharply to Viktor Orban's attempts to seize the statehood and to limit democracy, but without fully realising the scale of the threat. Even when Orban tried to limit media independence or when he declared war to Brussels. Orban has been underestimated all the time, just like Vladimir Putin has been for quite a long time. To those of us who are born and raised in totalitarianism the signs of its appearance are easy to recognise. Sometimes we might be exaggerating our fears but, generally, I can recognise a dictator when I see one. And Viktor Orban is a dictator just like Vladimir Putin. The Romanian speech of Hungary's prime minister is a solid proof because he clearly states that Hungary is moving along a non-liberal path. Currently, the most popular topic for thinking, according to Viktor Orban, is to understand how the systems that are neither western, liberal, liberal democracies or maybe not democracies at all, are successful. "The stars of the international analysts today are Singapore, China, India, Russia and Turkey". The Hungarian premier added that the time has come to "break" with the dogmas and ideologies of the West and to defend ourselves from them, while in the same time search for a new path that will make the Hungarian society competitive in the global race in the coming decades. 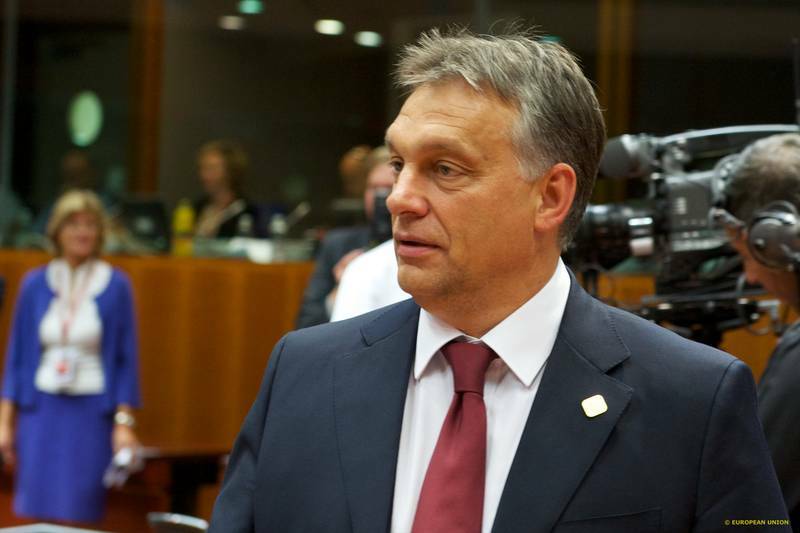 Viktor Orban believes that it is not impossible to have a democracy which is not liberal. 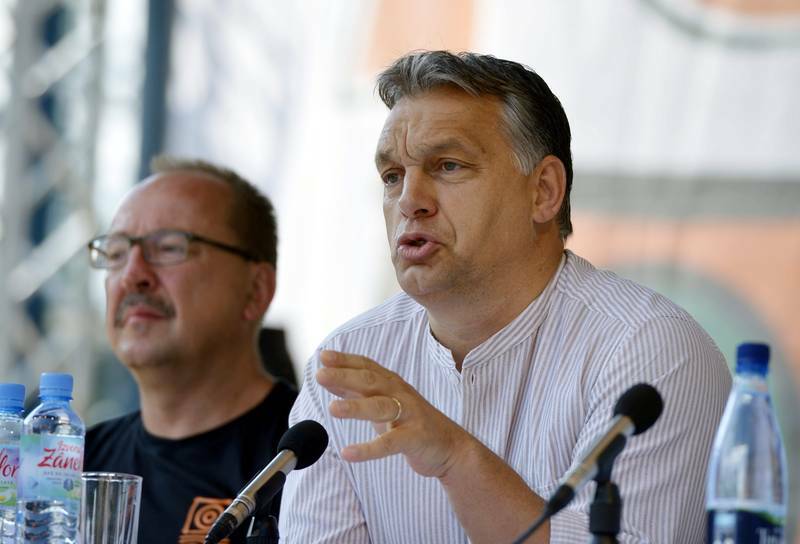 He does not elaborate on how exactly does he imagine the new regime he has been working on in Hungary, but states that in the past 20 years Hungary has applied Western Europe's ideological principles. One of them is not to infringe individual freedom. But who decides when someone's individual freedom is infringed, Orban asks and states that someone has to decide. And as no one is appointed to take this decision, every day the stronger one decides. The conflicts of accepting mutual liberties are not solved according to some abstract principle of justice but, instead, the stronger party is always right, he said, as if completely unaware of the principle of rule of law which is one of the fundamental values the European Union is built upon. The principle the Hungarian society should rotate around is not to do to others what you do not want to be done to you. This principle will be rooted into the Hungarian society through the education system and personal example, Viktor Orban explained. The new state Orban is building is non-liberal but it does not reject the fundamental principles of liberalism like freedom, for instance. It functions on the basis of a "different, special, national approach". Quite in the Putin-style, Viktor Orban, too, believes that the non-governmental sector serves foreign interests and is harmful for the national good. He believes that NGOs should be able to stand on their own feet financially and be based on voluntary work. Instead, most organisations are funded by "foreigners" and practically a class of paid activists has been created. "They are activists who are being paid by specific foreign interest groups, about whom it is difficult to imagine that they view such payments as social investments, and it is much more realistic to believe that they wish to use this system of instruments to apply influence on Hungarian political life with regard to a given issue at a given moment". That is why it is completely justified, Orban said, the Hungarian parliament to form a committee for regular monitoring and recording of foreign influence in Hungary. "We should know who are the real people who stand behind these masks", the Hungarian premier added. 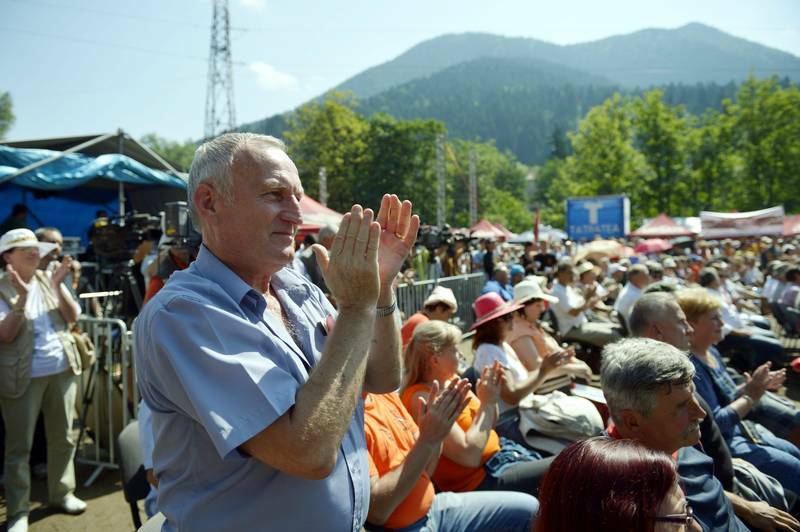 In Bulgaria, in the past year also often could be heard that protesters against the attempts of the former government of Plamen Oresharski to appoint a controversial figure with links to oligarchy to head the powerful state security agency are funded by foreign organisations. They were even nicknamed "sorosoids" (after George Soros). 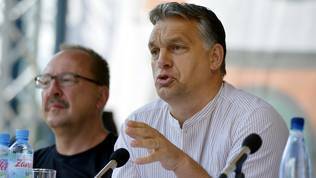 The main obstacle for the reorganisation of the state is the European Union, Orban said. However, he does not exclude the possibility his dreams to come true within the EU. Though, this would mean many battles because Orban is aware that many of his ideas are in conflict with EU rules. That is why, it is very likely Hungary to soon become the second country after UK to demand renegotiation of its membership. At this stage, Orban's view of the Hungarian state is in contradiction with the Treaty and the leading principles of the European People's Party which his Fidesz party is member of. That is why, it will be essential how the new European Commission will meet Viktor Orban's latest challenge. Even more important it will be if the EPP will continue to close its eyes for the obvious violations of its own principles by some of its members, not only from Hungary. The European Council, too, should react adequately to the Orban threat and to trigger Article 7 of the Treaty to make a point that the EU cannot and will not make compromises with its own principles and values. This will be especially important for the candidate countries as they are going through a difficult period of uncertainty about the future, but also for the new member states where there is a clear trend of a return of one-man rule. The Hungarian government has nominated Foreign Minister Tibor Navracsics for Hungary's commissioner. During the excellent Croatia Forum on the Western Balkans in Dubrovnik this year, he spent quite some time explaining the audience that there should no longer be a division of new and old member states. Now all EU members are old, he said. Alas, Hungary has demonstrated in the past years that it does not have a very long length of service in applying the fundamental principles EU is built upon which makes it a very new and unprepared member state. Beyond specific measures that need to be undertaken against Orban, the EU should realise that the Hungarian prime minister is just a symptom. The roots of the problem are that the EU's transforming power worked on too shallow a level and was too technical to lead to a mentality change which is the key to enable democracy grow deep roots in the societal conscience. The expectations were that the mentality will change somehow on its own with membership, gradually. This is impossible unless conducted in a lab - safe from external influences. But the crisis has put to the test even old democracies in the EU with deep and solid roots. You can imagine, then, what a challenge it is for the new member states to uphold their fragile democracy bearing in mind that they do not even understand it very well. There are not a few people in South East Europe who will tell you with a sigh of regret: "Well, in the past there was order, security and what do we have now?". Many in this part of Europe do not need the freedom of which Don Quixote said was on the point of a pike, which is why they elect macho leaders to think and act on their behalf. And in Hungary people have probably long forgotten 1956 when they rebelled against totalitarianism and demanded independence and political freedom. Orban is also a symptom of how the EU has not been present in the lives of citizens apart from being a strategic goal before membership and after that the stick that only punishes. What the EU does often reaches the citizens in the member states bent through the personal or political interests of government leaders. This is an area where a lot can be improved not only in countries with fragile democracies like Hungary but there should be a very special approach to the new member states.